Hell froze over today. My dog pooped in the rain. He never poops in the rain. What about riding your bike in it? I had the pleasure doing that last week and I can't say that it was all that terrible. Don't get me wrong. It was not great, but I wasn't nearly as miserable as one might expect. Yep. 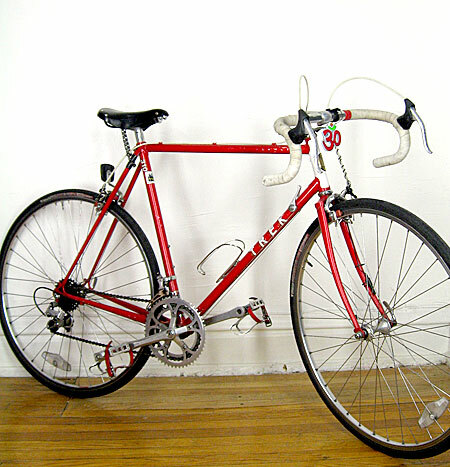 I took a break from bicycling. A short one, but a break nonetheless. 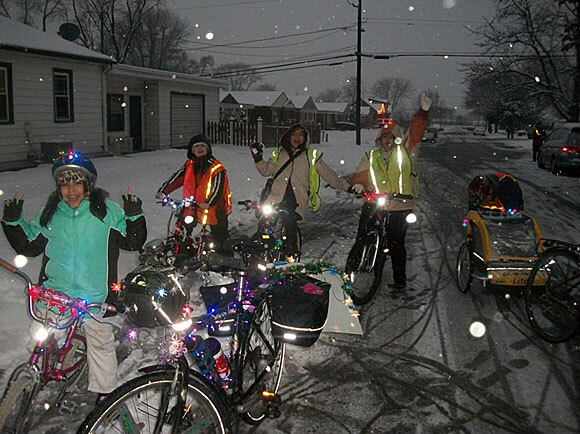 Jane Healy, a longtime champion of biking in winter, kids on bikes, and kids biking in winter, shared this moving description of taking a group of young cyclists on Blue Island's Festival of Lights Parade last December. As we brace for more arctic chills, let's be inspired by their example.